People who are new to precious metals may be unaware of the fact that there is more than one central producer of gold bars. Rather, there are hundreds and hundreds of different companies whose sole purpose is to produce gold bullion of all varieties. The precious metals industry is just like any other type of industry in that brand loyalty is very much prevalent. Believe it or not, people are willing to pay more for a bar produced by their favorite brand than one produced by another brand that they are not as fond of. While brand loyalty is all fine and good for the brands that people are loyal to, it is by no means something you should fall into. Becoming brand loyal can end up making you pay significantly more for an investment in gold bullion than you should. Instead, many experts advise that you should purchase generic types of gold bars and rounds as they are more often than not going to be more inexpensive than a brand name bar. Much like you pay far less for non-brand name cereal at the grocery store, generic gold bullion will allow you to get the most out of your money. In the following few sections we will go over just about everything you need to know about purchasing generic gold. If you are interested in buying generic gold bullion you should find comfort in the fact that there are a multitude of sizes of bars and rounds. The great thing about generic gold is that it spans over many many years and in some cases you will be able to find gold bullion in sizes that may not even be produced anymore. In fact, if you are attempting to locate and purchase the largest types of gold bullion, generic gold may be your best bet. Before the 1980s, gold (per ounce) was significantly less expensive than it is nowadays which meant that companies back then minted bars of much greater size than is common today. Since many of these bars have visible signs of wear and tear they are sold as generic bars at a price much closer to spot value. The sizes of generic bars vary from site to site and producer to producer so it is important that you shop around different online dealers before settling on just one place to purchase generic gold from. Generic gold bars, since many of them are so old, are hard to verify. Nowadays many gold bars come with what is called an assay, or a certification that your bar is actually made of gold. The reason an assay is necessary stems from the fact that there are so many instances of counterfeit gold bars. Generic bars, or at least many of them, do not come with an assay simply because they are so old. Because there is no assay you need to be careful of what you are buying when purchasing online. 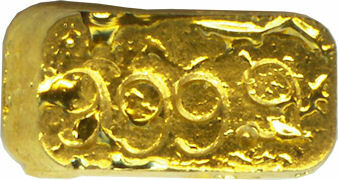 If the dealer who is selling this gold seems shady or unreliable it is not a bad idea to take your business elsewhere. After all, there are a multitude of different online dealers available for you to choose from. While there are a hefty amount of counterfeit items out their circulating in the world, they are not very common to find. With that being said, telling the difference between a reputable dealer and one that is out there looking to scam you is not very difficult. By doing even the most minimal amount of research you will be able to tell right away which dealers are worth buying from and which ones will just result in you getting a large headache and no gold. Like we touched on a bit earlier, purchasing generic gold is a great way to invest in the precious metal at a value closer to the actual spot value of the metal. If you are able to buy your gold close to spot value, you will be able to derive more of a profit when it comes time to resell your investment. 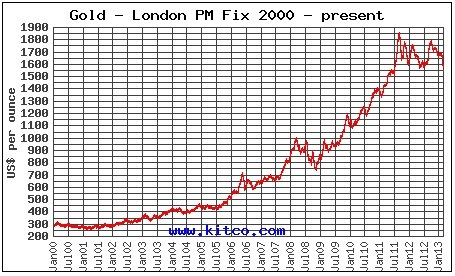 After all, most precious metals investors intend on selling their investment for a profit sometime down the road. Since the price of precious metals is changing all the time, it is important to keep track of the current value of the metal. Online dealers do take into consideration the spot price, and the price you will pay for gold and silver on most sites is roughly 1-5% over the current spot value. The amount of money charged in addition to the spot price of the metal is what is called the premium. Premiums over spot can range from being anywhere from a few dollars to a few hundred dollars, it all depends on the amount of metal you buy. In more cases than not, generic gold bars tend to be sold at a price that is much closer to the spot value of the metal than brand new bars. By doing a little bit of comparative shopping you will be able to tell which online dealers are offering fair prices, expensive prices, and even which dealers you can buy generic gold for a steal of a price. If you can find a source for generic gold bars that are sold at or under the spot value of the metal in the bar then you are besting many other investors who simply do not care enough to get a deal.